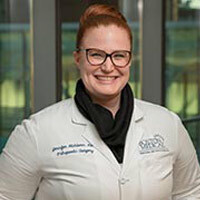 Jennifer is a physician assistant who joined the Boston Medical Center (BMC) and Boston University School of Medicine Department of Orthopaedic Surgery and Sports Medicine in July of 2015. Prior to joining our department, Jenn worked for the Boston Emergency Medical Service (EMS) for five years prior to going to PA school. She is an excellent clinician and dedicated to patient care. Jenn did her undergraduate study at UMass Dartmouth with a BS degree in Biology and graduated with honors. 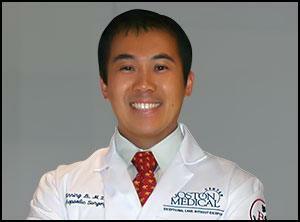 Her clinical interest is sports medicine and upper extremity. She enjoys spending time with her husband, co-workers, friends and her dog (Dozer). Jenn is Board Certified by the National Commission on Certification of Physician Assistants. She is a member of the American Academy of Physician Assistants and the Massachusetts Association of Physician Assistants. She is licensed to practice medicine as a physician assistant in Massachusetts.